What does ‘office design’ mean? What does office design mean? 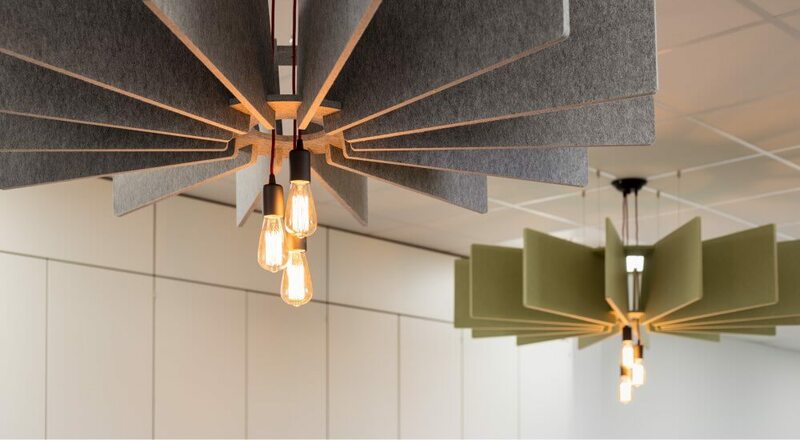 Interior design is now considered a vital and integral part of creating a successful office space, whether it’s a brand new fit out or an update of your existing environment. Not every employee will like or benefit from an open-plan office design, while some will embrace the chance to collaborate with colleagues. Incorporating interior design that enables activity-based working in the office means employees have the freedom to ‘hot-desk’ at different workstations if they choose. This can not only be empowering but increase productivity by giving staff members a choice of where they work. A good interior design company will guide you through the options and help ensure the design you want is coherent with your company culture and brand values and that it will work for your employees. If the infrastructure in the building can’t support the redesign, it won’t support your employees to do their jobs properly. One survey reported that 85% of employees believe they could do their job better with the right technology and another suggested only 13% have access to tablet devices at work — tools that are vital for flexible working. For a successful office redesign that embraces activity-based working, the appropriate technology needs to be included in the design. Technology can actually enhance an office’s interior with wireless charging pads, integrated touchscreens, audio-visual solutions, cable management and in-desk power solutions all working to make the office look sleek and provide practical power solutions. Communication with your employees is the key to a successful office redesign, as leaving employees in the dark about what’s happening with their workplace will soon lead to disengagement or resentment. 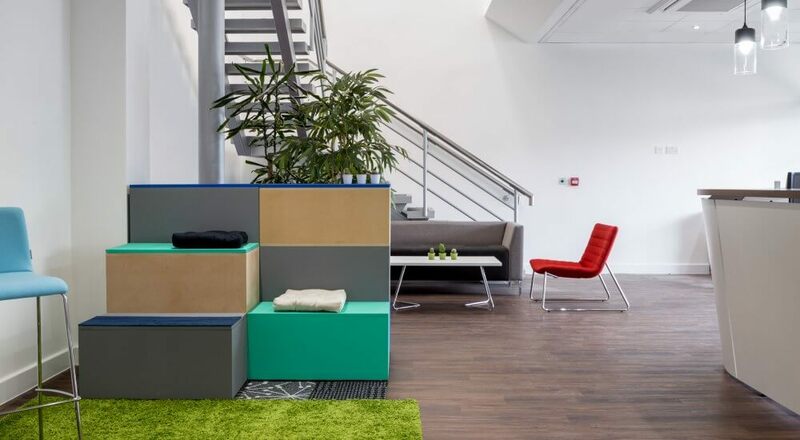 You may want to create a stimulating working environment, with ‘fun’ features such as a slide, fully open workplaces or walls covered in loud primary colours. However, if your team just want somewhere quiet to work, then all these bells and whistles are likely to go unused or, worse, end up creating resentment in your team. Before you begin your redesign project, speak to your team and ask them what they want, whether this is something as simple as a survey or asking them to draw their ideal office. Incorporating everything that everyone wants will be impossible of course, but employees will appreciate being given the opportunity to contribute. The link between an organisation’s workspace and its culture has been widely researched, with reports claiming the design and layout of an office has the power to reflect, support, influence and even change the values and principles of the company that occupies it. It may come as a surprise to learn that, in spite of the ongoing trend for open plan workspaces, a degree of enclosure and a structured layout is beneficial to culture in certain types of organisation. Of course, it is possible for a blend of different culture ‘types’ to operate within the same company; in fact, it’s highly likely that the culture of a marketing team, for instance, will differ from accounts or IT. In order to achieve an effective office design plan that allows all departments and individuals to thrive in their work, it’s vital to understand what type of subcultures exist within the wider culture of your business. It’s unlikely that one workspace design will support every part of your organisation. Equally, although looking to office designs of other organisations can be helpful in terms of getting general inspiration for your own workplace, it can be all too easy to fall into the “we want an office like Google’s” trap. Although it might be appealing to create a funky environment with game rooms and modern furniture, in reality, if your organisation’s culture isn’t the same as Google’s then using the same design ideas is unlikely to work. A far more realistic aim is to create a workplace that encapsulates the vision and values of your company. Office design specialists are there to help you achieve this, but there are a few considerations that can aid you along the way. Traditional office lighting — particularly fluorescent tubes — has a reputation for being cheap and providing poor-quality, artificial light. However, companies are beginning to realise that investing in high-quality lighting and — crucially — maximising natural light in the workplace wherever possible makes for a happier, more productive workforce. For further advice, read our 5 tips for better office lighting. 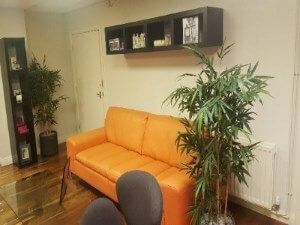 When decorating a workspace, colour choice should not be arbitrary; nor should it be limited to the company’s branding. The impact that different colours can have on people’s state of mind is well documented, so it makes sense to capitalise on this in the working environment. You can read more about how colour affects productivity here. Of course, considering employee health and wellbeing when designing workspaces will naturally include individual elements like lighting, colour and furniture; but it also warrants separate attention. For example, research we carried out suggested that having a purpose-built space within the workplace to relax in is important to one in five people. Bringing nature into the office can be a simple but effective measure to counteract the effects of work-related stress. Biowalls, for example — a recent trend that introduces walls of vegetation to the office space — can have a positive impact on staff wellbeing by improving air quality, diminishing excessive noise and bringing a sense of calm to the office. Showing your staff that their health and wellbeing is a priority when it comes to creating office design and layout plans — by listening to their needs and working preferences — is key to maintaining a happy and healthy organisational culture. Office furniture has evolved hugely in recent years and companies are realising the benefits of investing in high-quality pieces that offer flexibility, durability and ergonomic support. Renowned furniture design company Herman Miller has developed a range of flexible furniture that can be configured and adjusted in line with a company’s requirements. This modular approach, which includes the option to erect partitions to enhance privacy for individual or small group work, gives staff members the flexibility to work at each other’s desks if required. Selecting the right furniture is a key part of any office fit-out project — take a look at some of our recommendations here. The first impression of your business — to both clients and prospective employees — is surely worth giving serious consideration to. Getting the design and layout of your workspace right is no easy task, and one that you should not try to tackle without support from an experienced fit-out partner. At Dale, we have expertise in many industries and sectors, as well as taking the time to get to know our clients’ specific businesses and cultures. We also offer insight into the future of work practices and environments, which helps to inform key decisions around layout and furniture, for example. A well-designed office can help retain existing staff members as well as attract new talent. When e-commerce specialist Visualsoft had its workspace redesigned by Dale, for example, job applications per role increased by 77%. And when we worked with Go Outdoors, the Sheffield-based outdoor lifestyle retailer, its priority was to improve its kitchen and WC facilities to suit the needs of an expanding team. This simple change was at the heart of an overall office redesign that helped create a renewed sense of community among the team, helping staff feel more valued and therefore happier at work. For further examples of how we’ve supported a range of businesses in improving their office environments, take a look at the before and after images below. 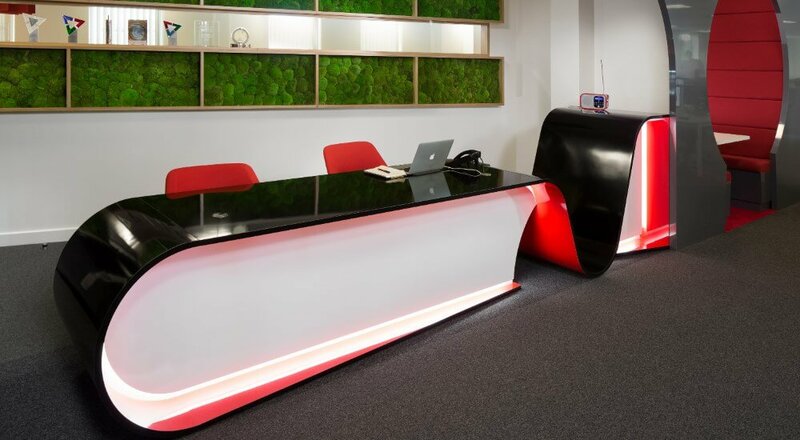 Zoo Digital: We undertook the office design, layout and furniture fit-out for this global digital media agency. 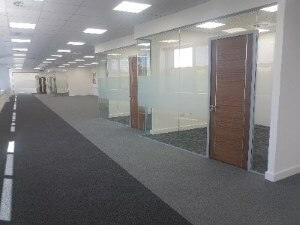 XL Joinery: A design, demolition and build project for this West Yorkshire based timber door supplier created more breakout areas for better collaboration and a welcoming reception area. Gordons LLP: We created a new workspace for this West Yorkshire law firm that enabled agile working and offered plenty of collaborative space for staff. Badgequo Ltd: A design-and-build office refurbishment for a West Yorkshire-based cosmetics company, which aimed to improve staff retention and future-proof the business. 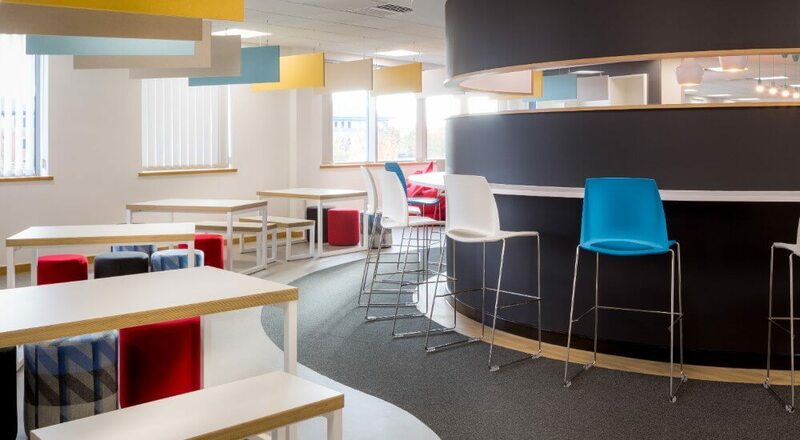 You can browse some more of our successful design and fit-out projects here or get in touch with our friendly team to discuss how we can help your business on 0114 233 1115 or by email.